Sandbox Playspace in Huntington is a fun and safe place for babies, toddlers and preschoolers. Summer is in full swing, and my kids and I love to spend as much time outdoors as possible. 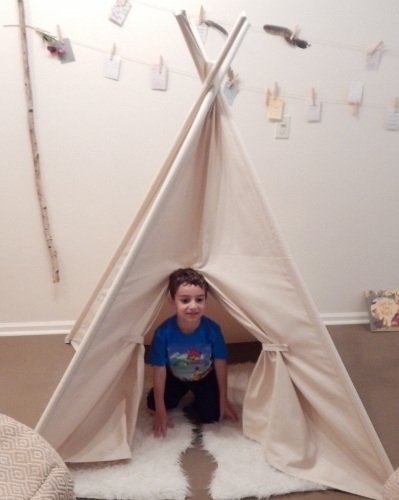 But when we get hit with a rainy day (or the heat and humidity is simply unbearable), I need to find an indoor option so they can work up all of that energy that comes with being 5 and 3 years old. Of course, I always check out our Long Island Events Calendar for ideas, but I also love hearing about new places from other moms. And that's exactly how I discovered Sandbox Playspace. What makes Sandbox Playspace so special? Located in Huntington, it's specifically designed for kids from birth-5 years old, so there's no worrying about your little one getting knocked over by a big kid. And the space—which opened this past winter—is big enough so there's plenty of room for kids to move around and explore, but intimate enough so that parents can keep their little ones in sight at all times. In fact, moms can actually speak to one another since they don't need to be chasing after their kids every minute. 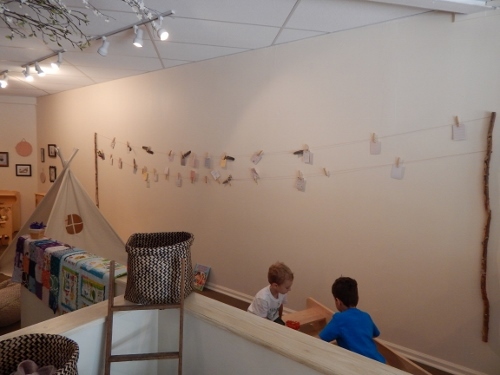 The open space has a variety of play areas, including mini versions of a gas station, flower shop, supermarket and play house, as well as a small slide and a super-cool tee pee (the boys’ favorite). And while I got a kick out of seeing my kids playing, my favorite part of Sandbox is the wall of inspiration for parents. Moms and Dads leave words of encouragement or wisdom for one another, such as “Remember to breathe” and “Put down your camera and enjoy the moment.” If you see one you like, you can feel free to take it and you’re encouraged to leave one in its place. And although Sandbox is most definitely a playspace, its soothing colors and music had a real calming affect on my kids. There was no yelling or crying (it's not just my kids that do this, right?) --they moved from one area to the other with ease and enjoyed playing with each other instead of spending that time fighting over who gets to go down the slide first or hold the orange flowers. Sandbox is open Monday-Friday, 10am-5pm. Prices are $12 for kids 6 months and over, $6 for babies under 6 months, and $8 per sibling. Parents can also buy a 10-session playpack for $100 or a Monthly Play Membership for $59 per month. There is a summer special going on now. There is also a private room for birthday parties, which are held only on weekends. Prices start at $300 for 12 children. There are also classes offered on-site, such as Children's Yoga, Mami & Me Spanish, Toddler Spanish, SuperTryers (where you and your toddler can taste test healthy foods), prenatal exercise and more. So whether it';s for open play or a specific class, Sandbox is worth checking out. And for other indoor play options on Long Island, be sure to take a look at our Inside Activity Guide.